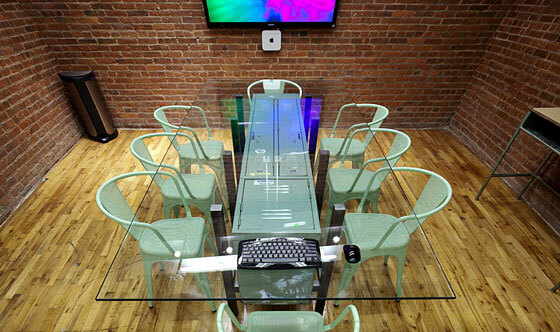 Each Quirky conference room is centered on a table with a unique recycled base. This one, a gym locker, still holds students’ forgotten possessions. Ben said he spent around a year scouring for recycled objects for the office. 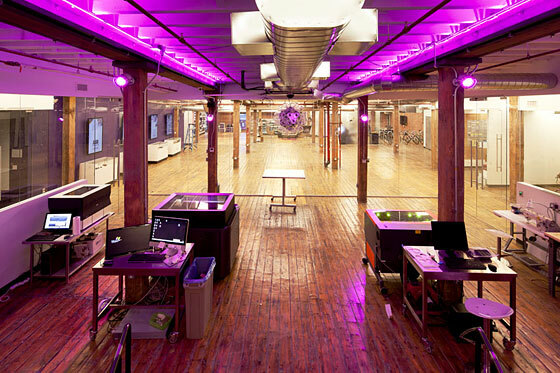 Photo: Courtesy of Quirky. The only walls in the office are glass, so all the work is truly transparent. 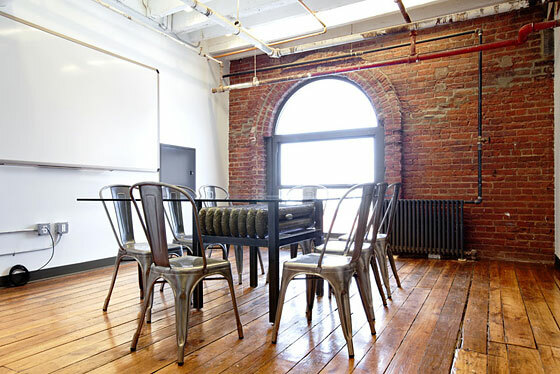 This room is called Heat, for obvious reasons.Photo: Courtesy of Quirky. 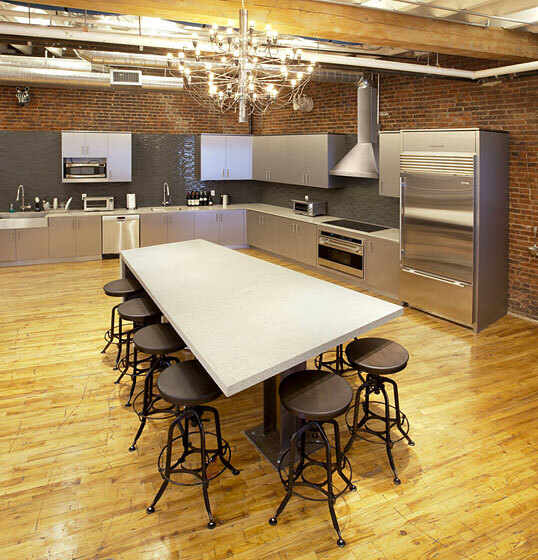 There is a large, open test kitchen that serves both as a place to try out new designs, as many of their products are kitchen appliances, as well as a staff canteen. 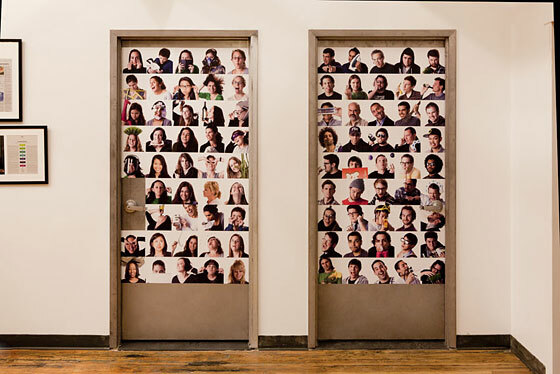 Photo: Courtesy of Quirky. 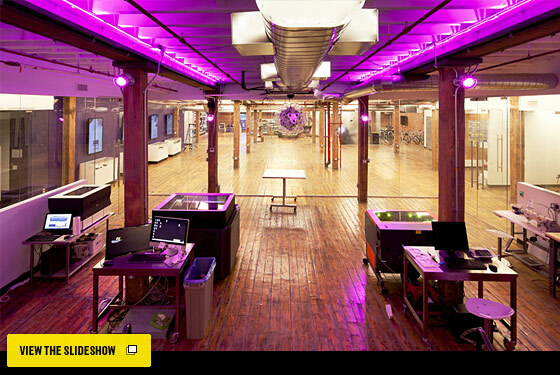 The main work space for the 70-plus staff is an open studio with continuous wood desks that were formerly wood bowling lanes. Phone booths like this one allow people to have privacy when they need it. Photo: Courtesy of Quirky. 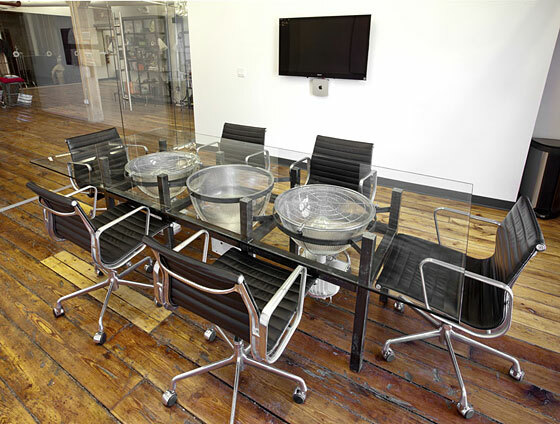 Each conference room also features a different set of chairs to complement the table base. Photo: Courtesy of Quirky. There is no mistaking the girls and boys restrooms here. Photo: Courtesy of Quirky.